Are you interested in learning more about the pre or post-operative aspects of bariatric surgery? Everyear over 200,000 individuals undergo bariatric (weight-loss surgery) surgery. Here are the 40+ blogs in the bariatric surgery space worth reading and subscribing too. Learn better post-op nutrition, fitness, vitamins, and more. We’ve carefully picked these top bariatric blogs because they’re actively working to educate, inspire, and empower their readers with frequent updates and high-quality information. Looking to nominate a blog for this category? Email info at Renew Bariatrics.com. Inarguably one of the best blogs for life post-bariatric surgery, BariLife has dozens of healthy recipes and supplement guides to make sure you maintain your weight after surgery. If you’re still considering undergoing bariatric surgery, BariLife has some phenomenal posts about common misconceptions, recovery time, and weight loss success stories. The woman behind the blog Melissa Loses It is Melissa Peaks, a 31-year-old from Auckland, New Zealand who had gastric bypass surgery in 2014. 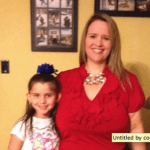 Her blog showcases her day-to-day life after surgery, bariatric-friendly recipes, and the hardships she continues to face after her procedure. 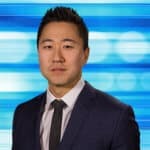 It’s harder to find content as credible and trustworthy as what you’ll read on Dr. Ara Keshishian’s blog, a bariatric surgeon at Central Valley Bariatrics in Pasadena, California. 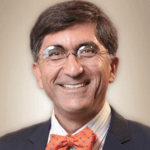 Unlike other blogs, the blog ran by Dr. Keshishian has highly detailed medical articles with photos taken from inside the body. You’ll also find information about challenges patients run into with their insurance companies after undergoing bariatric procedures. 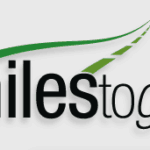 Another blog that recounts a woman’s (Julia) life journey after bariatric transformation is MilesToGo. Julie had gastric bypass surgery in 2006 and now uses her blog as a platform to share recipes, motivational ideologies, and resources for those considering weight loss surgery or already on their post-surgery path. 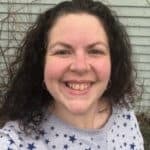 If you’re looking for a well-established blog that comes from a woman who lost more than 160 pounds, head over to MilesToGo and read her firsthand account of post-bariatric surgery life. 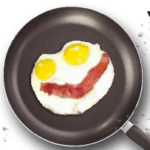 Despite its silly name, The World According toEggface is no laughing matter. The blog’s author, Michelle, quote-unquote had her “guts rearranged” in 2006 and ever since then, had to make challenging strides to adapt to her life after weight loss. Michelle’s blog centers around healthy recipes and ways to stay fit and healthy. 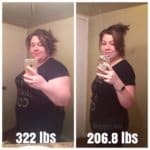 The Melting Mama blog features the inspiring weight loss journey of a mother who reached a weight of 170 pounds after once weighing 320. Her blog features product reviews, before and after photos, and her personal resolutions. One thing she touches on that a lot of other bloggers don’t is the alarmingly high prices of bariatric procedures. 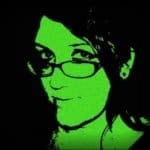 Although she only posts every month or so, her blog dates all the way back to July 2005. With the help of the Bariatric Foodie blog, you’ll be able to indulge in the same delicious food you enjoyed before weight loss surgery. 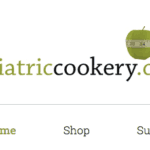 The blog has hundreds of super tasty recipes such as protein pumpkin bread, salted caramel mini-cheesecakes, and crockpot chicken tortilla soup. All the recipes are simple to follow and have multiple pictures of the savory food. If you love good food just as much as the woman behind the Bariatric Foodie, then you’ll certainly have to try some of the delicious recipes on this blog. The mastermind behind The Bariatric Dish is Lori Newlon, a certified bariatric nurse, and a 12-year gastric bypass patient. Lori’s blog boasts several bariatric-friendly recipes and she presents each one as it were an exquisite meal at a five-star restaurant. Not only does she publish great recipes, but she also shares her personal experiences and how dietary changes led to life-changing results. As you can see by the name, 300 Pounds Down was created by a woman who once weighed a staggering 417 pounds, causing her to be practically immobile. After seeing her brother go through weight loss surgery, she decided to try it herself and had a vertical sleeve gastrectomy. She lost over 300 pounds and uses her blogs to share her before and after photos and tales from her daily life. Unlike other blogs, Bariatric Surgery Sources targets people who are beginners to bariatric surgery and are considering undergoing it. The blog allows visitors to see if they qualify for surgery, compare procedures, minimize costs, and learn about life after surgery. There’s also a great tool that you can use to locate weight loss surgeons in your area. Another veteran weight loss blog is Sandi’s Branded Living, founded in 2010 by a woman by a woman who had lap band surgery and lost 250 pounds. Sandi posts monthly and most of her content revolves around self-determination, long-term success, and personal recounts of her journey fighting off obesity. If you’re considering a lap band surgery, she has an in-depth guide on band surgery that is available on Amazon. Gastric Sleeve is a blogging community where like-minded people can share their weight loss goals, personal struggles, and post-surgery life. The community is very active, and the members make new posts daily. Gastric Sleeve is a great blog to follow the weight loss journeys of people from unique backgrounds or share your own personal story. After Stefanie from San Diego had gastric sleeve surgery, she quite literally went from fat to fit, dropping 115 pounds. She now blogs recipes that fit with her low carb and a ketogenic diet. If you don’t know what a ketogenic diet is, she has a comprehensive guide written especially for newcomers. Mother of two and blogger Karen Gillman struggled with obesity all her life until she underwent a gastric-band surgery in 2004. She now uses her success story to promote exercise and healthy eating. 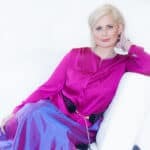 Her blog also features a store where you can purchase her book “It’s Never Too Late,” a personal recount of her ten-year journey with weight loss surgery. Founded in 2016, Med Republic is as medical travel blog that has a section solely devoted to weight loss surgery. Even if you aren’t planning on traveling abroad for bariatric surgery, this blog will still serve as a useful resource for you. The blog touches misconceptions about weight loss surgery, what to really expect, and how to choose between gastric bypass and gastric sleeve, among others. What sets Dayone Heath’s apart from the others is that it’s run by an outpatient weight loss surgery center based out of Chicago. The blog has a plethora of great information, including details on each type of procedure, what to expect, success stories, and diets. Not only will the blog help you learn if you qualify for surgery, but it’ll also help you make an educated decision if you proceed with a bariatric procedure. Ran by a self-proclaimed “resident philosopher,” Surviving My Sleeve follows a woman’s weight loss journey after gastric sleeve surgery. Nothing on this blog is sugar-coated, at all. The blogger shares her rollercoaster of emotions she experiences with her weight loss battle and even explicitly posts her fluctuating weight. If you really want to put yourself in someone else’s shoes for a day, this is a blog for you. If you’ve struggled with obesity for a large portion of your life, even after multiple diet attempts, you’ll probably be able to relate to the woman behind My Bariatric Life. The blogger is an American woman who was known as a “big lass” for most of her life, that is until she had a gastric bypass in 2003. She uses her blog to talk about her efforts to lower her weight, dieting tips, and travel. While most blogs focus on one specific procedure, Obesity Coverage blogs about gastric bypass, gastric sleeve, lap bands, duodenal switch, and a few other less common weight loss procedures. The blog boasts a weight loss calculator and several helpful articles about qualifying for surgery, average costs, recovery, insurance coverage, and life after surgery. Another blog to read if you want to put yourself in someone else’s shoes is Tracy’s Journey After Gastric Bypass Surgery. Tracy blogs a lot about fitness, dieting struggles, her family, and even a little bit about fashion and her favorite colors. The blog is uniquely genuine and written to evoke motivation in every visitor. Angie, also known as “Bypass Princess,” went from 329 to 179 pounds after having gastric bypass surgery in 2014. Aside from her weight problems, she suffered from the lasting effects of childhood abuse and later went on to have a rocky 25-year marriage. Angie uses her blog to share recipes, career adventures, and her success at fighting obesity. OAC, short for Obesity Action Community, is a group that supports individuals struggling with obesity. 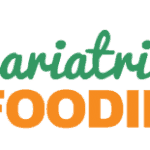 The website has a blog that focuses on political action for the obese, finding quality care, and eating right. If you feel compelled by OAC’s mission, you can read about (and possibly attend) the OAC National Convention. Ran by a woman named Tara, Feels Like Home is a family-oriented blog that has a focus on crafts, raising kids, travel, and health. While at first glance it might not seem like this blog has anything to do with weight loss, the blogger actually had a gastric sleeve surgery in April 2017 and has lost 170 pounds. 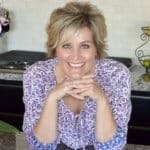 A portion of her blog is dedicated exclusively to bariatric surgery and eating. 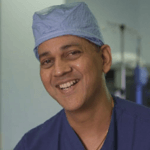 Operating out of Joplin, Missouri, MGB (mini gastric bypass) is a clinic headed by Dr. David Hargroder. The clinic’s website has a blog that has several articles about weight loss tips, dieting, and weight loss apps. The Kansas City Bariatric Center has an informative blog to educate both prospective and current patients. With over five pages of articles ranging from emotional eating and childhood obesity, this blog goes out of its way to make sure you’re fully versed in bariatric surgery and the journey afterward. Just because you had bariatric surgery doesn’t mean you have to get rid of your sweet tooth, at least that’s the mindset behind Bariatric Eating. This blog is filled with delectable dessert recipes that will cure your sweet tooth and still align with your weight loss diets. If you aren’t craving sugar, there’s still a handful of delicious and carb-friendly main course recipes featured on the blog. 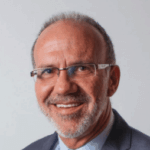 Another informative blog ran by a clinic can be found on Cernero Surgery’s website. Since the clinic performs four full-on bariatric procedures, you can trust that the information you’re getting from the blog is some of the best and most up-to-date on the internet. The blog has over five pages of article ranging from low-carb diets to finding new energy and confidence after surgery. 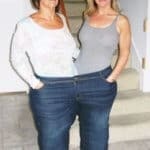 Located across the pond, Healthier Weight is an English clinic that specializes in gastric bypasses, sleeves, and bands. The blog is separated into three sub blogs The Band Butler Blog, Sleeve Pro Blog, and Healthier Weight Patient Diaries. The Band Butler Blog is managed by Martyn Berrett and boast articles about common gastric band questions, the obesity epidemic, and gastric band abuse. 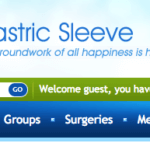 Similarly, the Sleeve Pro Blog touches similar topics with a focus on gastric sleeve surgery instead of the gastric band. Lastly, Healthier Weight Patient Diaries shares the journey of five women set out to fight obesity. 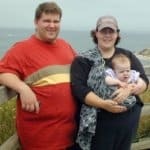 The Obesity Control Center is a clinic in Mexico and their blog features dozens of before and after pictures of their patients. Not only does the website have photos of patients, but many of them also have a testimonial about how weight loss surgery improved their life. Although the page does try to endorse the clinic, it’s still a good resource to see how much bariatric surgery can transform the human body. 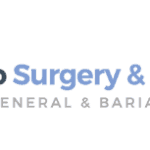 With locations in both Plano and Fort Worth, Texas, Barnes Bariatric is a clinic that does laparoscopic sleeve gastrectomy, gastric bypass, revision weight loss, and lap-band procedures. 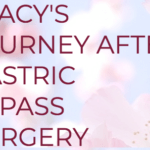 The Blog portion of their website talks about the benefits of bariatric surgery, who is considered a candidate, and the pros and cons of each procedure. Another UK-based weight loss clinic that runs a blog is Kent Weight Loss Surgery. The clinic specializes in gastric band, sleeve gastrectomy, gastric balloon, and gastric bypass procedures. Their blog referred to as the “Surgeon’s Blog,” a variety of articles ranging whether you should balloon or not balloon to common misconceptions about weight loss surgery. Regarded as “expert weight loss surgery,” Lee Bariatrics is a clinic in Texas that has a blog with over fifteen pages of content. The blog is updated with new posts about once a month and covers a variety of topics such as childhood obesity and what to expect after bariatric surgery. If you aren’t familiar with Penn Medicine, it’s an academic medical center in Philadelphia that’s part of the University of Pennsylvania Health System. The blog makes it easy to sort between different topics, most of them relating to dieting and exercising after bariatric surgery. Dr. James Parrish is that man behind the blog on Alexandria Bariatrics Surgery’s website, a division of Mid Louisiana Surgical Specialists. Although the doctor only posts every couple of months, the articles on the blog bring to light the reality of obesity problems among adults and provide answers to a lot of bariatric surgery questions. Olde Del Mar Surgical (also known as San Diego Bariatric Surgery), is a clinic that not only does common procedures, but also has a comprehensive weight loss program. Their site has an appealing blog with a handful of posts about dieting, exercise, and frequently asked questions. Sage Bariatric is a weight loss clinic with several doctors that perform procedures ranging from adjustable gastric banding to gastric balloons. They post a couple of articles every year about the prices of bariatric procedures, reasons to consider surgery, and even about how obesity effects testosterone. The final blog on the list is New Life Center for Bariatric Surgery in Knoxville, Tennessee. You can easily sort through the posts (some dating back to 2009), and read articles ranging from how weight loss surgery benefits people with type two diabetes to how bariatric surgery increases your lifespan. Learn about various topics including obesity, obesity trends and statistics, and post-operative life for bariatric patients. Learn about the most asked questions on bariatric surgery, including gastric sleeve surgery, gastric bypass surgery, and others. We’ve carefully picked these top bariatric blogs because they’re actively working to promote, inspire, and engage their bariatric visitors with frequent updates and high-quality information. Looking to nominate a blog for this category? Email info at Renew Bariatrics.com. Are you listed in this, or interested in displaying the best bariatric surgery blogs and websites in 2018? Use the embed code below to insert this onto your website.